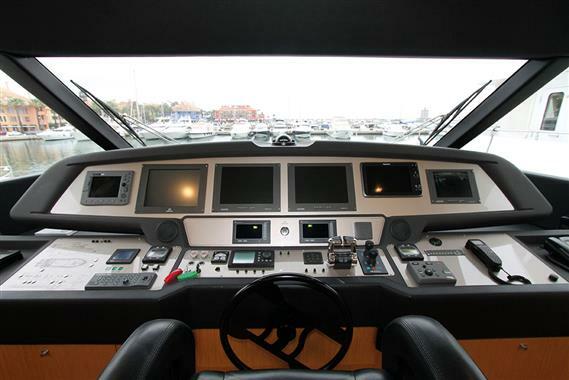 Custom Line Navetta 26 from 2008 equipped with 2x900 hp MAN. 5 double cabins plus crew. 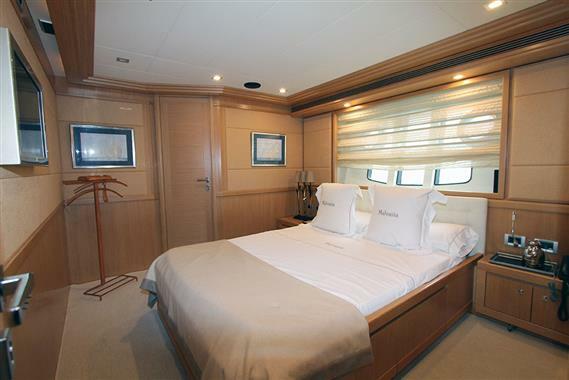 Master stateroom located on the main deck with en suite shower room with two shower heads. 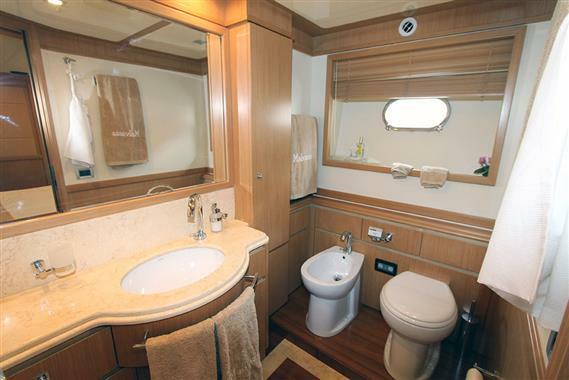 Separate bidet and WC space. 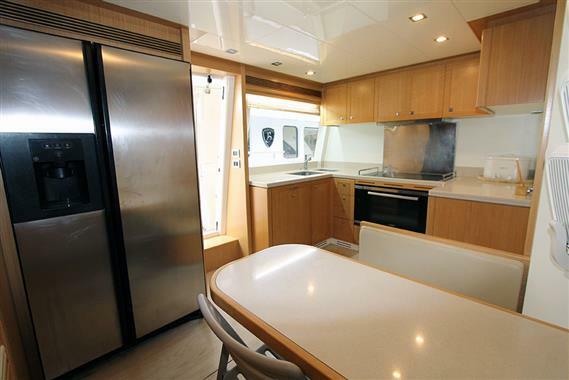 The lower deck accommodates two double bedded cabins with en suite bathrooms with stall shower and two twin bedded cabins with en suite bathrooms, plus each has a Pullman bed. 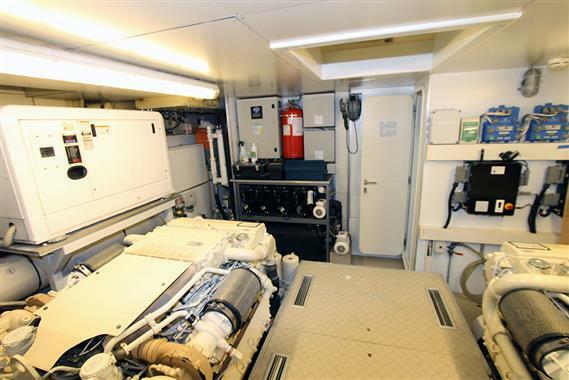 Crane for tender on upper deck capacity 650 kg.